I know this is last minute, but if you are looking for something to do with the kids this weekend, and they love Frozen (who doesn't? 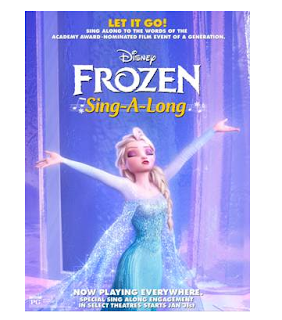 ), get your tickets to the Frozen Singalong at the Retrodome in San Jose. Seats are limited for the matinees, so hop on it! While you're at it, consider getting a three-pack of tickets to other singalongs, including the Sound of Music and Mamma Mia. Tickets: $15 in advance, $18 at the door. 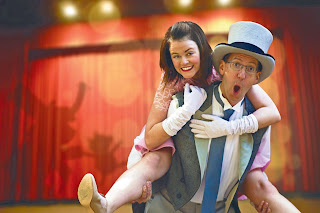 Your reservation includes reserved seating, a fun pack of props, a 15 minute pre-show that includes contests, previews and/or trivia, on-screen lyrics and free validated parking when using the adjacent parking garages. This Saturday, Habitot Children’s Museum has a free admission day to celebrate its 18th anniversary, with an “Old Enough To Vote” theme. Families are encouraged to come dressed up at politicians, suffragists, or famous presidents. They'll have a voting box for the kids to stamp their vote for cutest insect. This week, the kids can also vote on the Habitot Facebook page to vote on their favorite color playdough, best juice flavor, and cutest insect. In the art studio, the museum will have an enormous three-foot sculptural birthday cake for kids to douse in paint, glue, sparkles and confetti. This is a great time to teach your kids about the voting process, if you haven't started already, since the presidential primary is June 7. As a family travel writer, I often hear that going abroad with my kids is a risky proposition—and it’s always confused me a bit. 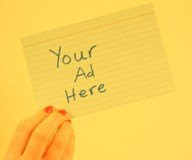 Kayt Sukel, a fellow writer and travel blogger at Travel Savvy Mom, has been fed that line a time or two herself. 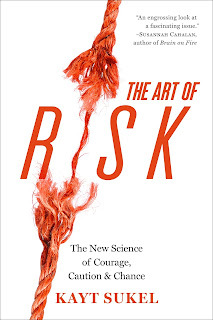 Her new book, The Art of Risk: The New Science of Courage, Caution and Chance, takes a hard look at “risk” – what it is, what it isn’t, and why we should, as parents and individuals, be encouraging more of it, at home and abroad. I’m excited to share this Q and A with her—and encourage you to pick up a copy of the book (I'll be posting a review myself soon)! Frisco Kids: You’ve traveled with your son across Europe, the Middle East, and Africa. What do you say to people who tell you that it’s too risky? Kayt: I usually start by quoting Mark Twain and say something about travel being fatal to prejudice, bigotry, and narrow-mindedness—and that I think it’s a bigger risk for my children not to explore and learn those important skills. For those who are terrified of travel, that usually ends the conversation. They think I’m nuts and we just agree to disagree. But for those who are honestly curious—and, often, I think, looking for permission to travel with their own kids—it usually leads to a wonderful discussion about how to best travel with kids. I usually learn a thing or two myself in the process. The Conservatory of Flowers is getting ready for a new exhibition. Called the Wild Bunch, they're featuring "some of the more ornery gangs of the plant world." What does that mean? They'll have plants that hoard water (cacti), "fat" plants called caudiciforms, and succulents. "These fleshy, and often thorny, plants are distinguished for their ability to survive the most extreme, arid conditions, and their swollen stems and leaves come in a stunning variety of weird shapes and unexpected colors." You'll see hundreds of varieties like Lithops, which look like pebbles, some Dr. Seuss-like fat plants such as the flowering Adenium obesum or desert rose. You and the kids will learn about how the succulents have unusual adaptations to hostile environments, like their water storage abilities, drought resistance and sharp defenses against predators (hello, cacti!). When: May 6 – October 16, 2016. Closed Mondays. Cost: San Francisco Residents: $6 general; $3 youth 12-17, seniors and students with ID; $2 children 5-11; children 4 and under FREE Non-residents: $8 general, $6 youth 12-17, seniors and students with ID; $2 children 5-11; children 4 and under FREE.